Since netbook components are pretty much standard across all models, manufacturers don’t have much wiggle room when it comes to boosting battery life and a big bunch of cells is really the only option. That’s certainly the approach taken by Toshiba for the NB200 and its bountiful 63Wh battery pack gives bags of mains-free use. 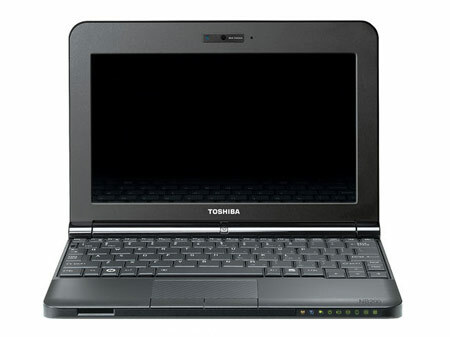 Though other colours cost a little more, it’s hard to beat £266 for the basic black Toshiba NB-200. 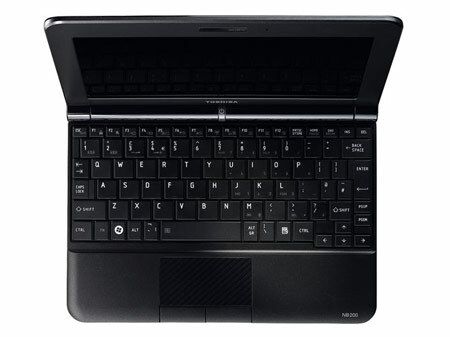 With a lap weight of two pounds, 15 ounces, the NB205 is firmly in the middle of the netbook weight class. Its price, battery life, aesthetics, and performance put it near the top of the current generation, and we appreciate perks like Sleep-and-Charge. 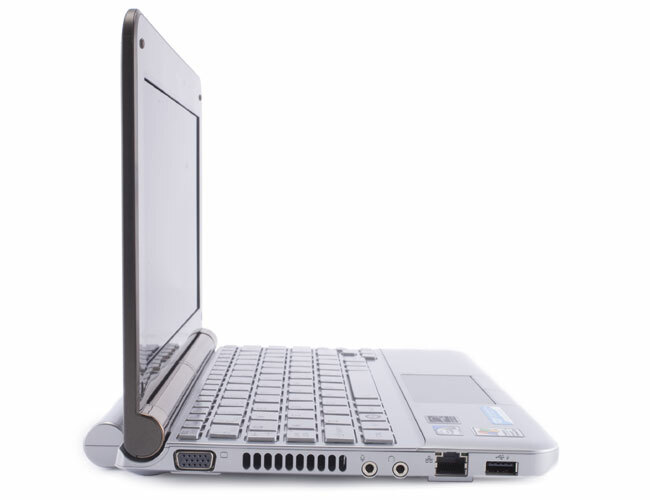 It’s one of the best netbooks on the market today. But TORX screws on the hard drive compartment? Toshiba, you were so close. 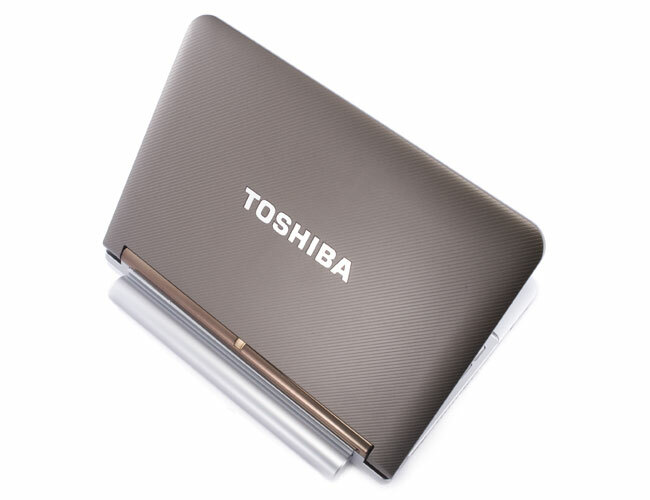 Toshiba's NB205 netbooks provide some of the best battery life in the market which is great for those looking to run it all day long. It also features a sizable and very useful trackpad in a market segment that has many poorly designed models. These aspects are tempered though by some excessively long boot times due to a large amount of preloaded applications. The NB205-N210 also doesn't feature the isolated keyboard as the more premium NB205-N300 series models. It is still decent but not quite as nice. Being late to the game has its advantages; you learn from other companies’ experiences and make yours better. 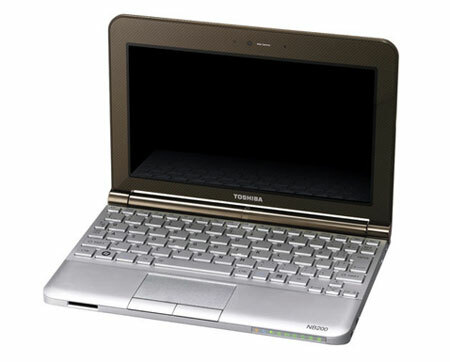 Toshiba did a good job at that with its first Netbook. 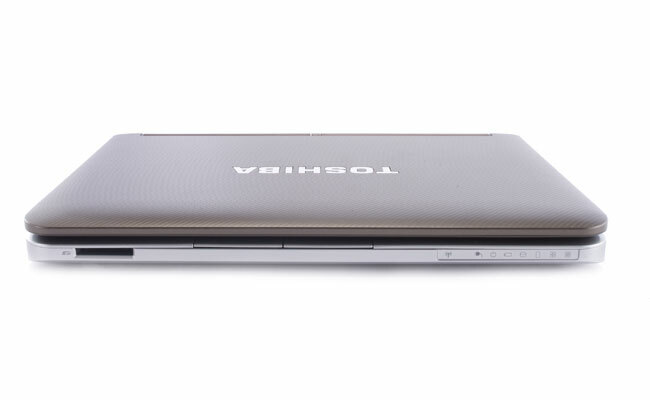 The Toshiba mini NB205 has good processing power for a Netbook thanks to the N280 processor, solid Wi-Fi and Bluetooth, a good software bundle and ample ports including a Sleep and Charge USB port. But it’s the Toshiba mini NB205’s design that screams for attention, especially the white one (the Frost White casing is the best selling mini NB205 so far). 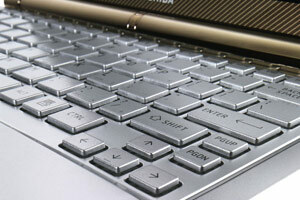 We love the keyboard and the touchpad, the long battery life and the capable video playback. The downward-firing speaker is a mistake and while the Toshiba does a good job with Hulu and YouTube video playback, that old integrated GMA950 still isn’t up to more than casual gaming. 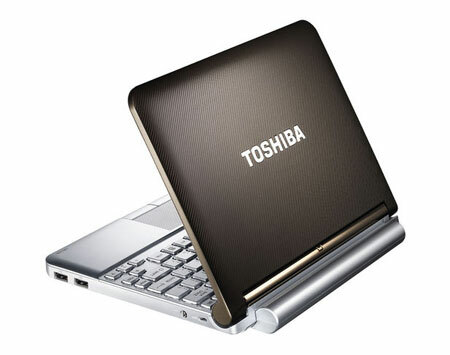 At $399, the Toshiba is competitive with a 1.66GHz processor and a 160GB hard drive, but 1GB RAM is on the low side. 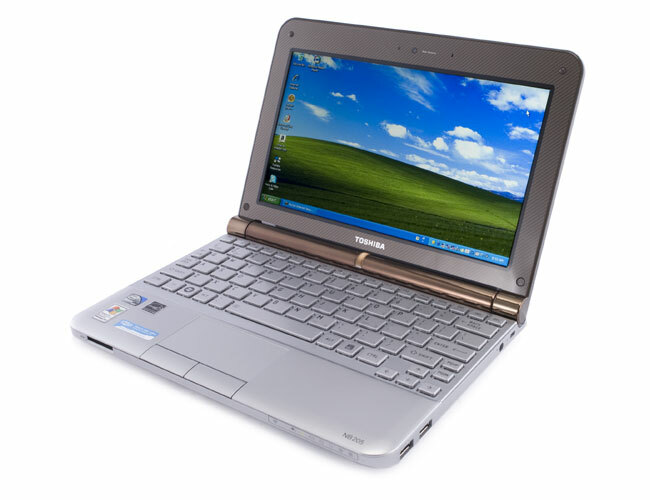 But considering all the features packed into the N310--and how well it performs in a pinch--this is an easy-to-recommend netbook that's perfect whether you are a budget-minded businessman or you just need a flexible minimachine for a long day of note-taking. If this netbook ponied up a little more horsepower (a discrete GPU wouldn't hurt), I'd probably use this as my go-to gadget. Hang back, plan carefully, and do it right the first time. 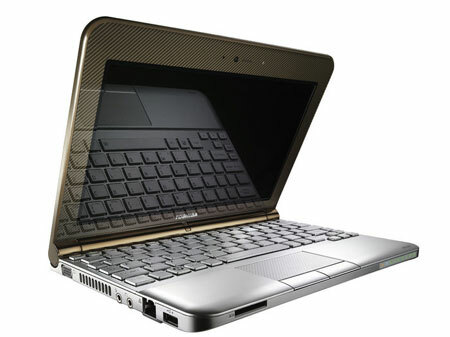 That seems to be the idea at Toshiba, which has finally entered the netbook market with the $399.99 Mini NB205. Its debut effort is solid but lacks the kind of breakthrough features that make tech writers get up and cheer (and make a netbook stand out in a competitive field). 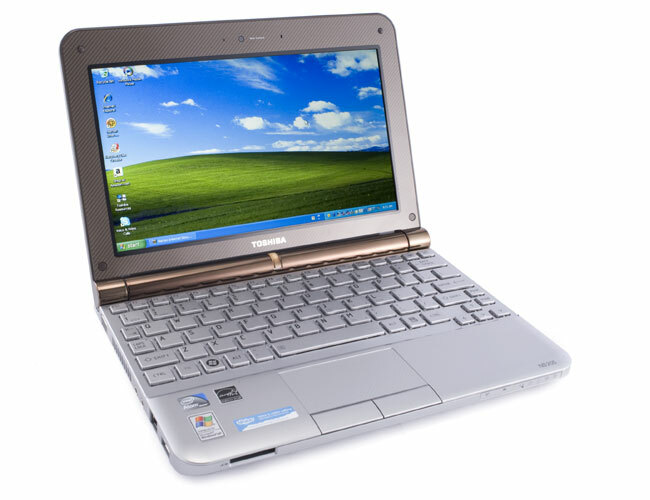 The Toshiba Mini NB205 isn't a stellar netbook, but its design, price, and overall solid features should appeal to many looking for a dependable choice. Toshiba is more than a little late to the Netbook party, and its inaugural effort (at least aimed at U.S. consumers) is the slick-looking Toshiba Mini NB205, but an awkward six-cell battery and some of the worst audio we've heard on a Netbook may not justify the now-premium $399 price. 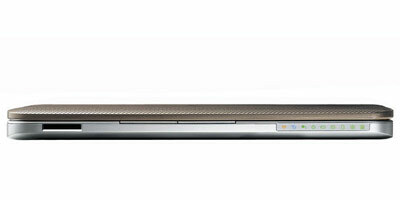 Toshiba finally enters the Netbook market with the Mini NB205. It's got an upscale, distinctive look and a good keyboard/touch pad combo, but also weak audio and a big, bulky battery. For a company like Toshiba, the benefit of waiting and watching as it takes in all the buzz being generated in a market like netbooks is that it gets to glean from all the rants about these devices ways to improve upon its own product. Toshiba figured out that a small keyboard isn't going to cut it, small batteries are a thing of the past, and design is the ultimate differentiator. Despite all the lookalikes, Toshiba found a way to outdo its rivals in the netbook category with the fantastic and environmentally friendly NB205. Toshiba’s entry into the U.S. netbook market soars past the competition with a stunning design, stellar keyboard, and the longest battery life of any netbook to date. In creating its first netbook for the U.S., Toshiba has learned from the mistakes and successes of its rivals, and one-upped them all. 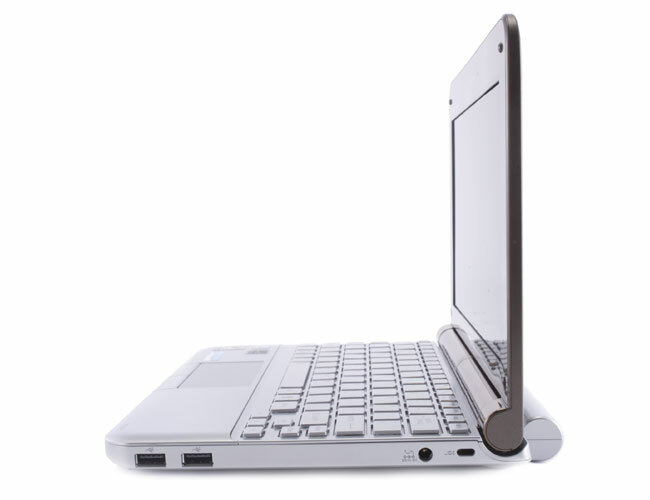 Its mini NB205 has everything we’d recommend in a netbook: an attractive chassis, comfortable keyboard and touchpad, and more than eight hours of battery life for an affordable price. While Samsung’s N110 and ASUS’ Eee PC 1000HE continue to be good choices, Toshiba’s $399 mini NB205 provides an all-around solid package, and longer endurance than the competition. 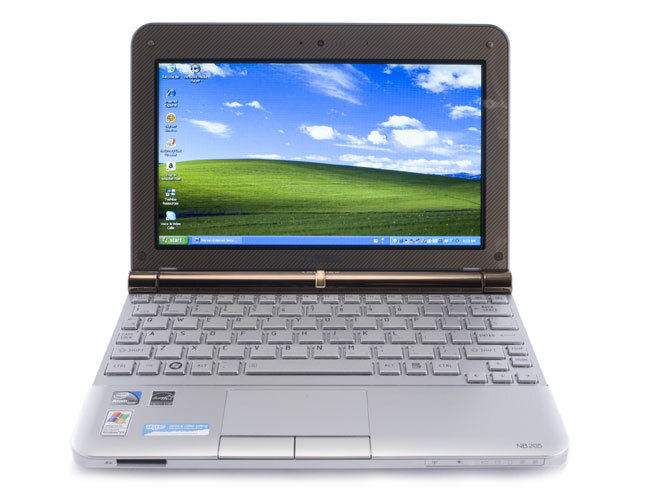 Considering all the features packed into the Toshiba Mini NB205-N310 - and how well it performs in a pinch - this is an easy-to-recommend netbook that's perfect whether you are a budget-minded businessman or you just need a flexible minimachine for a long day of note-taking. If this netbook ponied up a little more horsepower (a discrete GPU wouldn't hurt), we'd probably use this as our go-to gadget. N280: Typischer Netbook Prozessor und durch die geringe Leistung nur für Office, Web und andere einfache Applikationen sinnvoll einsetzbar. Im Vergleich zum N270 nur minimal höher getaktet, jedoch mit schnellerem FSB. Ein Celeron M mit 1.2 GHz bietet in etwa die selbe Leistung wie der N280. 84.43%: Diese Bewertung muss man eigentlich als durchschnittlich ansehen, denn es gibt etwa ebenso viele Notebooks mit besseren Beurteilungen wie Schlechteren. Die Verbalbeurteilungen klingen aber oft besser als sie wirklich sind, denn richtig gelästert wird über Notebooks eher selten. Obwohl dieser Bereich offiziell meist einem "Befriedigend" entspricht, passt oft eher "mäßiger Durchschnitt".» Lesen Sie auch unsere Notebook-Kaufberatung.